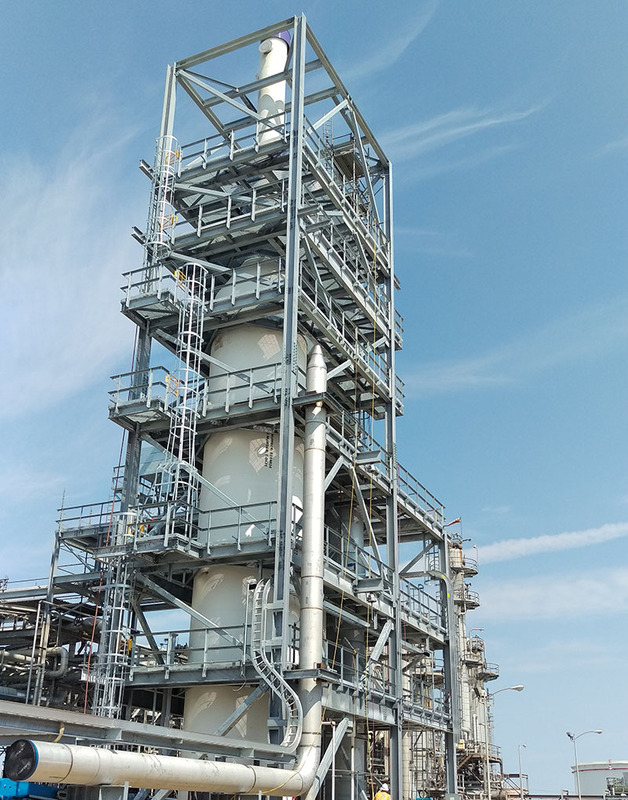 A collaborative team comprised of UCI, Piping & Equipment Co. (P&E), Southwestern Electric (SWECO), and MKEC Engineering, Inc. recently designed and constructed a tail gas scrubber in the sulfur recovery complex at HollyFrontier El Dorado Refining LLC. 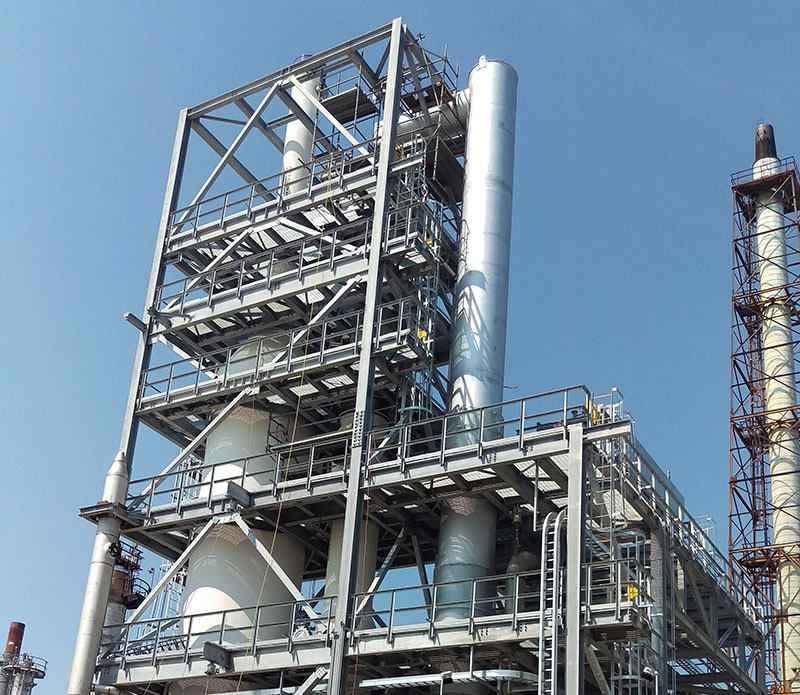 The project included the installation of a thermal oxidizer and a large caustic scrubbing tower with high-volume caustic circulation pumps. UCI served as the general contractor and performed the civil construction, while MKEC led the project management and engineering/design. Mechanical and electrical/instrumentation construction was performed by P&E and SWECO, respectively. The job was bid and completed on a design-build basis allowing construction to begin while design work was being finished. This also helped make sure the new unit was up and running in time to provide backup for a planned maintenance period. Early in the process, MKEC developed a 3-D site scan and model of the structure, which helped identify the option to safely eliminate a costly retaining wall from the site development plan. We also met with the equipment manufacturers to pinpoint key design changes, simplifying installation. These efforts reduced costs and helped keep the project on schedule. Weekly communication between the client and the project team, along with continuous updates of our 3-D model during the design progress, were instrumental in meeting the refinery’s operational goals, while completing the project on-time and under budget.